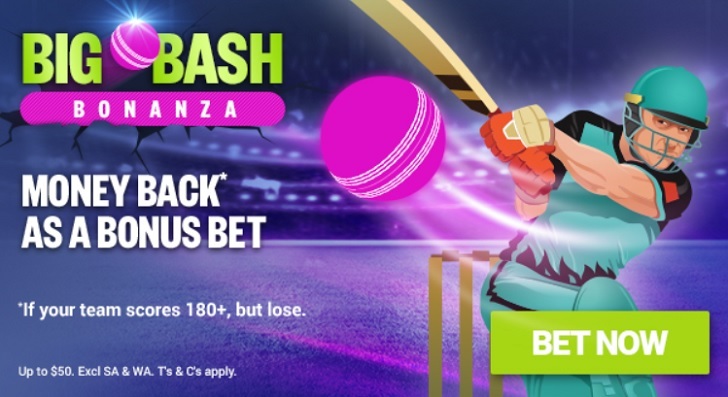 Before You Bet and followers hit on 2/4 bets in Round 8 of BBL08 and we'll be looking to improve on that as we look forward to the Round 9 action. Round 9 gets underway on Thursday, the 17th on January with the Brisbane Heat hosting the Sydney Thunder. Check out our preview and tips for all four games in Round 9 below. The Brisbane Heat currently sit in sixth place on the BBL table with three wins from their seven games. They can put some pressure on the top four with a win over the Thunder on Thursday night. A win would mark their second in a row, after they downed the Melbourne Renegades in their last match on the back of a brilliant score of 192 batting first. Max Bryant (44), Brendon McCullum (69) and Chris Lynn (66*) were all fantastic in the win. The Sydney Thunder were impressive in their first game without English star duo Jos Buttler and Joe Root. Shane Watson stepped up to the plate with a brilliant 68 off 40 balls to help the Thunder to a total of 168. It was the Thunder bowlers who stole the show, however, as they kept the Strikers to just 97 runs with all seven of the bowlers picking up at least one wicket. The Heat batting lineup has seemed to come alive over the last few games. They have compiled scores of 186 and 192 in two of their last three matches and should with Lynn still in the lineup and not having lost him to international duty as the Heat would have expected, we think they should be too strong at home. Cricket fans will get an extra dosage on Friday night as the Australians take on the Indians in the ODI followed by a BBL clash between the Scorchers and Hurricanes at Perth Stadium. The Scorchers seem to have found their grove over the past few weeks, winning their last two games on the trot over the Melbourne Stars and Sydney Sixers respectively. Cameron Bancroft has been the catalyst of the Scorchers revival with two fifties on the trot and the Scorchers will look to draw level with the top four with a win on Friday. The Hobart Hurricanes are sitting pretty on top of the BBL table having won six of their seven games. They sit one win clear of the Renegades who have already played nine matches and at least two wins clear of the rest of the compeition, all but one of whom have played at least eight matches. D'Arcy Short was fantastic in Canes win over the Stars on Monday night, smashing 96 not out off just 57 balls to lead Hobart to a comfortable win. Although the Scorchers sit outside the top four, this feels like a top of the table clash with the way they are playing at the moment. They'll still be without star pace duo Jason Behrendorff and Jhye Richardson, however, their batting line-up has come along in leaps and bounds over the past few games, led by a brilliant Bancroft. Although it's a new stadium, playing in Perth has always been a massive advantage for the Scorchers. We think they win at home. The Renegades currently sit second on the BBL table after winning three of their last four games over the Hurricanes, Heat and Sixers respectively. They have racked up five wins so far this season but have already played nine games, so will need to continue to win to ensure they stay inside the top four. Sam Harper has been one of the unsung heroes for the Gades, having compiled 220 runs at an average of 27.50 to lead the team in runs. The Melbourne Stars have fallen off horribly since losing four of their kay players in Glenn Maxwell, Adam Zampa, Peter Handscomb and Marcus Stoinis to international duty. They have lost their three games in a row and currently sit on the bottom of the BBL08 table. It's unclear as to who will play for the Stars on Saturday night with the Australian ODI team playing on Friday. You can't imaging that Cricket Australia would allow their international players to play just one day after suiting up for Australia, so we have to assume the big four won't be in for the Stars, nor will Renegades skipper Aaron Finch. Hard to see the Stars winning without the quartet. The Sydney Sixers were disappointing with the bat in their last outing, falling for just 115 to an undermanned Melbourne Renegades side. The loss makes it two on the trot for the Sixers, who have now fallen to sixth on the BBL08 table with a 4-5 record through their first nine games of the season. A win here will help the Sixers put pressure on the top four while a loss would almost certainly have them out of finals contention. After winning three of four games including two fantastic batting performances, the Heat's last outing against the Sydney Thunder on Thursday night ended in a no contest due to light failures at The Gabba. With the 1 point, the Heat find themselves in seventh place on the BBL table, above only the Scorchers. The Heat's batting lineup has been much improved over their last few contests, scoring 186 and 192 in two of their last three completed matches. Hard to look past the Brisbane Heat batting line-up at the moment. Chris Lynn is looking extremely dangerous and Brendon McCullum has also started to find some form with a couple of big scores. The spin bowling of Afghani youngster Mujeeb Ur Rahman should also be a big factor at the SCG. We like the Heat here.